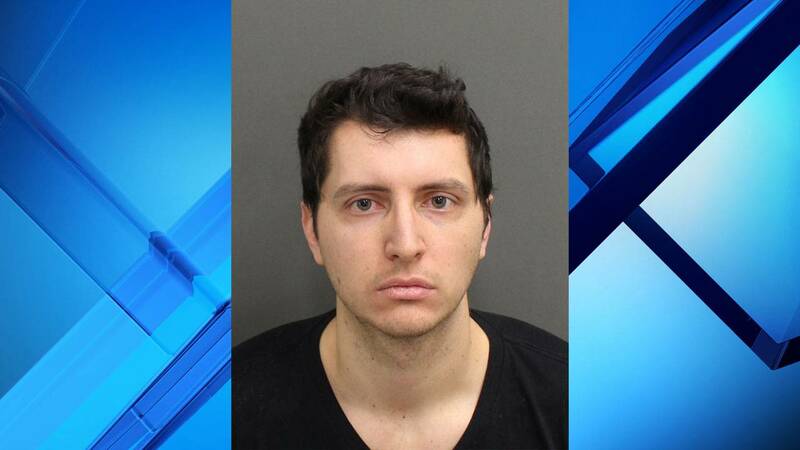 WINTER PARK, Fla. - The driver of a BMW was arrested this week after Winter Park police said he was going more than 100 mph on New Year's Eve when he T-boned another car, killing two 23-year-old women. Justin Fonner, 28, is charged with two counts of vehicular homicide and reckless driving causing serious bodily injury. On the evening of Dec. 31, Fonner was driving east on Orange Avenue toward Westchester Avenue in a residential area when he told his passengers, "Let me show you what a real men's car can do," according to an arrest warrant. Justin Fonner is charged with two counts of vehicular homicide. Fonner then began accelerating quickly, reaching speeds between 100 and 120 mph in a 35 mph zone, the passengers told police. "The speed limit on that road is 35 mph, so he was going well over that at the time of the crash," Winter Park Police Department Sgt. Garvin McComie said. When the victims, identified as Geena Brigitte Pabarue and Keisha Oyola Perales, both 23, pulled out from a house on Orange Avenue, Fonner T-boned their Toyota SUV, killing both women, Winter Park police said. Both victims died of blunt-force injuries. Two passengers in Fonner's BMW were also seriously injured in the crash, suffering broken bones and internal bleeding, according to the report. Investigators determined that there was no way the victims would have thought a car would be approaching at such a high speed and that if Fonner was going the speed limit, he would have been able to brake in time. The "black box" from the BMW's airbag control module registered a speed of 128 mph only 1.5 seconds before impact, according to the arrest report. "It’s murder," said Everyis Lopez, Pabarue's sister. She said her family is devastated, and despite the arrest, they don't have closure, saying they're upset it took this long to press charges. But they said they're realizing police needed to have a solid case. "I wish we could go back to Dec. 31, and I could be, like, 'Geena, we’re staying in bed all day,' you know? 'We’re not going out,'" she said. Police said this was an "extensive" investigation and that's why it took almost a month to make an arrest. "Processing the scene, gathering evidence from the vehicles, talking to witnesses, measurements and getting everything down pat to determine how fast the (car) was going," McCormie said. "There's a lot of stuff involved with it to get all the evidence in to do a proper charge against the person that was found at fault." Fonner "didn’t destroy two families," said Lopez. "You destroyed three. You destroyed my family, Keisha's family, and his own." Neighbors who live along Orange Avenue said speeding is a problem and they hope the tragedy will raise awareness and stop people from driving so fast. "The more people who know how dangerous it is, perhaps people will pay attention and obey the speed limit and be more careful, very careful," resident Elizabeth Bell said. Police said they are actively enforcing the speed limit along Orange Avenue. Fonner was arrested Thursday morning and was being held in the Orange County Jail. Fonner bonded out of jail Friday night.